Can Ariston and Phaleas escape the Guardians and their life in Kalliopolis’s new order? 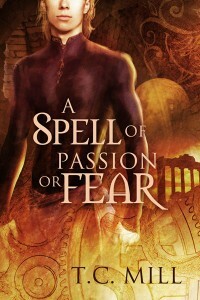 A Spell of Passion by T.C. Mill, available from Dreamspinner Press. Can the ghost of Christopher Marlowe bring together two men from completely different backgrounds? Marlowe’s Ghost by Sarah Black, available from Dreamspinner Press. Former Marine Will Marlowe dreams of being a great classics scholar, but his subversive street art, Bad Toys, is what he does best. When he’s sent to London to retrieve Tommy Jones, what he’s really interested in is a chance to take Bad Toys global. He doesn’t expect cancer survivor Tommy to captivate him or to become the pet project of a real live—dead—author. Meanwhile, Tommy is struggling to write a dissertation about Christopher Marlowe while conveniently ignoring the fact that he knows Marlowe didn’t die in 1593. And Marlowe’s ghost? He has an agenda all his own that seems to involve two parts mystery, one part romance. Is there more to Charlie and Caleb’s friendship than meets the eye? 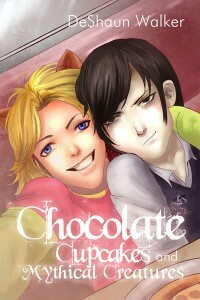 Chocolate Cupcakes & Mythical Creatures by DeShaun Walker, available from Dreamspinner Press. It’s Charlie Foster’s first time away from home, and he’s a long way from Texas at the all-boys boarding school for mythical creatures in England. Luckily he’s pretty good at making friends, one such as the brooding and closeted Caleb Jacobs—and though they are nearly polar opposites, they become inseparable soon after meeting. Even Charlie’s brief fling with a certain werewolf classmate doesn’t drive a wedge between the pair. But is that just because Caleb sees something that Charlie doesn’t? Can Ezra survive being changed into a werewolf or will darker forces prevail? Hair of the Dog by Ashlyn Kane & Morgan James, available from Dreamspinner Press. Will Jesse and Lau survive the attempt to destroy their love—and their lives? 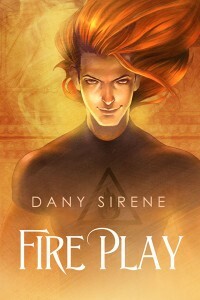 Fire Play by Dany Sirene, available from Dreamspinner Press. Fire demiurge Lau had it made until the Mother Goddess banished him for his cruel treatment of humans. Now he’s stuck in a mortal life, trying to cope without his powers—mainly by partying hard and seducing anything with a heartbeat. Then he meets Jesse Warner. College student Jesse is new to Montreal. Out from under his parents’ thumbs for the first time, he can’t wait to begin to discover who he really is. He has no idea what’s really at stake when he falls in love with the former demiurge… until a powerful being with a grudge shows up, ready to destroy them both. Can Malic escape the demon who holds him prisoner and find his way back to Dylan? Cherish Your Name by Mary Calmes, available from Dreamspinner Press. Roderick, who owes his title and estate to his mother’s money, has never been truly accepted by the local gentry. After his mother dies of fright at the feet of the wolf that’s been terrorizing the countryside, talk in the club turns to how to deal with the alleged werewolf. Some of the men wish to mount a hunt, and it’s even suggested that the creature could be captured and sold, perhaps to that mad American, P.T. Barnum. Roderick’s solution is to purchase a dog, hopefully with the help of the handsome Lord Staynesburgh. He’s eager for the chance to get Staynesburgh alone, to ask for his discretion: Staynesburgh saw Roderick emerging from a certain London club, and Roderick fears he’ll lose the rest of his already low reputation. But the full moon is only a couple of weeks away, and Roderick has preparations to make if he isn’t to risk more than just a few sheep. Can Vlad learn enough about his new supernatural life in time to save Logon? 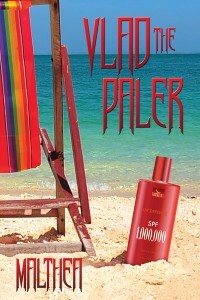 Vlad the Paler by Malthea, available from Dreamspinner Press. Will Gabriel fight off the fear and madness that pursue him before they ruin his life with Aleksei? 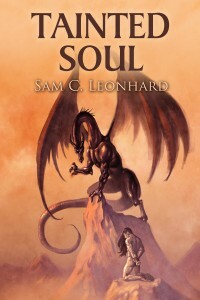 Tainted Soul by Sam C. Leonhard, available from Dreamspinner Press. Gabriel Jordan, part-time werewolf and full-time private investigator, should be living a happy life. Three years ago, he was a homeless thief; now he’s got a loving partner and a job he enjoys, he lives in a nice house, and he doesn’t have to worry about tomorrow. So why the sudden urge to cheat on Aleksei, the handsome and occasionally deceptive fae he loves? Why does Gabriel feel compelled to flee the life he’s built for himself? Someone’s calling him. Someone’s looking for him. Someone holds his destiny in her hands. The portals to the hidden worlds have become unstable, even dangerous. Fear and madness linger in the dark. Panic and nightmares chase him, but Gabriel can’t fight an enemy he can’t see, and even turning into his wolf form may not be enough to save him.